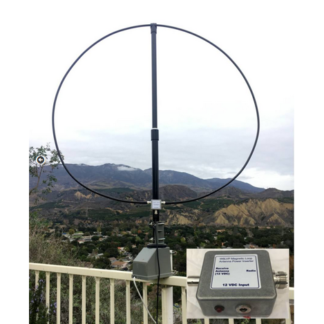 Magnetic loop receive antennas are a great weapon in the fight against natural and man-made noise. W6LVP loops cover 2200 through 10 meters (135 kHz through 30 MHz) with no tuning or adjustment. 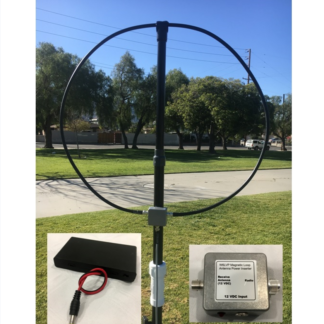 The Small 3 foot diameter loop is naturally stealthy for HOA challenges and a perfect complement for vertical and small wire transmit antennas. If your transceiver has a separate receive antenna input or you will be using the loop with a receiver, the version with power inserter is for you. 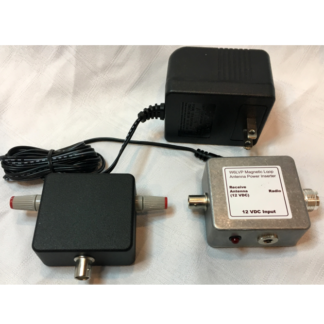 For transceivers without a receive antenna input, the version with transmit/receive switch lets you connect to the receive loop and your transmit antenna. Contact me for specials and components. 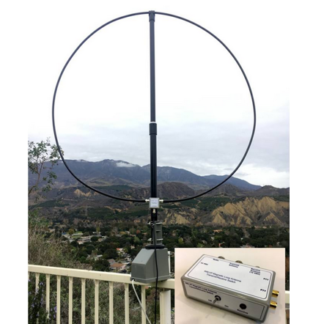 The W6LVP magnetic loop antenna and the KiwiSDR Internet connected SDR receiver are a perfect pairing.